The Epigenetic Health Benefits of Blueberries | What is Epigenetics? Although blueberries are tiny, they’re more powerful than you might think. Touted for their high nutrient content – including fiber, vitamin C and K, and manganese – these little blue fruits may be able to adjust chemical marks on DNA and influence our health. Blueberries are incredibly high in antioxidants and it’s thought that this “superfood” can epigenetically reduce DNA damage, thereby protecting humans against aging and cancer. Examples of epigenetics in food include the ability of green tea to influence DNA methylation marks and reduce cancer susceptibility, as well as the ability of sulforaphane in broccoli to slow the growth of cancer via histone modification. 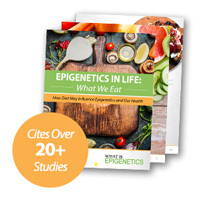 Other epigenetic examples even suggest that DNA methylation might fix binge eating early in life or eating brown rice can epigenetically reduce food cravings. More research continues to uncover the powerful effect diet may have on our epigenome. New research published in the Journal of Cancer Prevention suggests that blueberries might be able to improve health via antioxidative and epigenetic modulation. DNA damage is a major reason for why we grow older and why we might develop certain diseases such as cancer. A break in DNA is considered DNA damage, as well as a chemically altered base, such as 8-OHdG. 8-hydroxydeoxyguanosine, or 8-OHdG, is a biomarker of oxidative stress and carcinogenesis. Many studies have shown that measuring 8-OHdG can be a useful way to assess someone’s risk of various cancers and degenerative diseases. 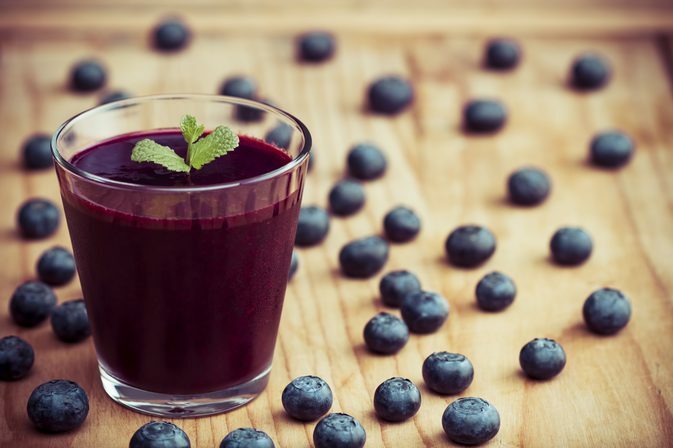 According to the study, blueberry juice could be a methylation inhibitor with anti-oxidative activity. In a study from Sookmyung Women’s University in Korea and the University of Occupational and Environmental Health in Japan, researchers analyzed the urine and blood of women who consumed either vitamin C or blueberry juice for 2 weeks. The team measured 8-OHdG levels, malondialdehye (MDA), and global and specific DNA methylation at various genes to evaluate the mechanisms involved in the blueberry’s antioxidative effects. They found that urinary MDA levels were reduced in all subjects. However, urinary 8-OHdG levels were reduced as a result of consuming blueberry juice rather than vitamin C. In addition, DNA methylation of the MTHFR gene was also reduced in those who drank blueberry juice. The researchers used the MethylFlash Methylated DNA Quantification Kit from EpiGentek to measure global DNA methylation levels in each genomic DNA sample extracted from the subjects’ blood. The reduced expression of the MTHFR has been shown to increase the risk of cancer. It is also involved in the metabolism of folate, a well-known epigenetic modifier. The present study suggests that potential anticancer mechanism of blueberry or vitamin C is associated with inhibition of promoter methylation at the MTHFR. According to the data, antioxidants may exert their biological effect through epigenetic modulation of DNA methylation. It’s fascinating to think about the epigenetic power such a small fruit could have on our health. In light of these results, antioxidants and fruits such as blueberries could have much more significant impact on our wellbeing than we ever thought. Source: Kim, M., Na, H., Kasai, H., Kawai, K., Li, Y.-S., & Yang, M. (2017). Comparison of Blueberry (Vaccinium spp.) and Vitamin C via Antioxidative and Epigenetic Effects in Human. Journal of Cancer Prevention, 22(3), 174–181.